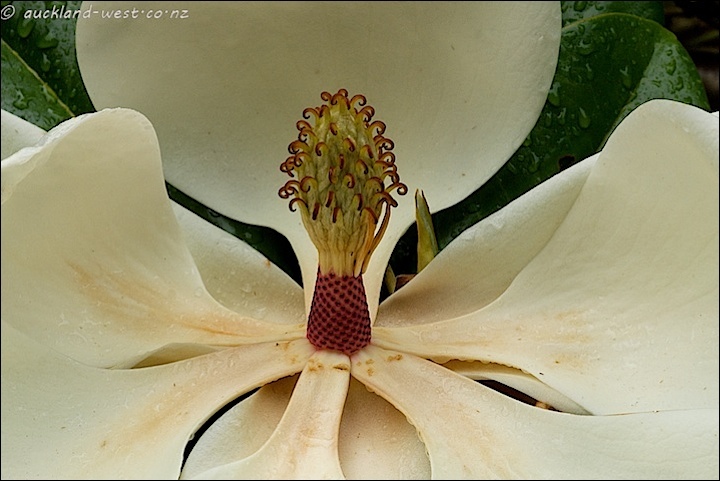 Last Sunday I showed black and white images of Magnolia Grandiflora, and Bill from Brisbane asked me for colour versions. Well, here they are (any colour as long as it’s white, well, sort of white). I thought that black and white was a good means of hiding the typical rust blemishes that these flowers seem to get. Some discoloration from the stamen, some for other reasons. 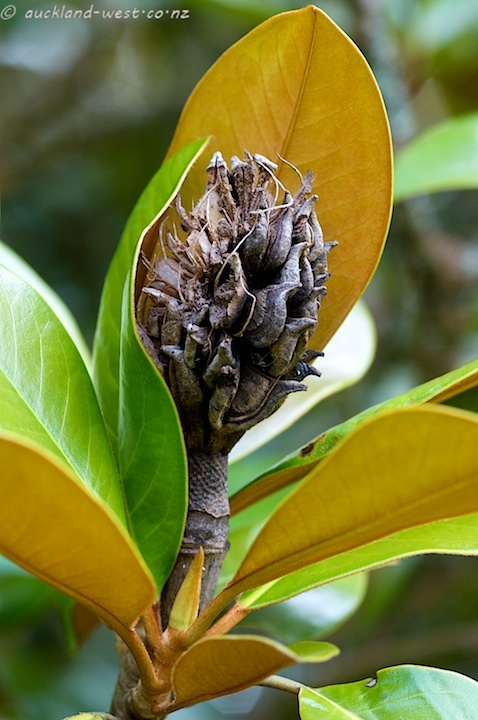 In the picture below, one can also see the brownish underside of the leathery leaves. I loved them in B&W but in colour they take on a whole new interest. … now I am not sure which I prefer. Your top photo is spectacularly cropped and composed.